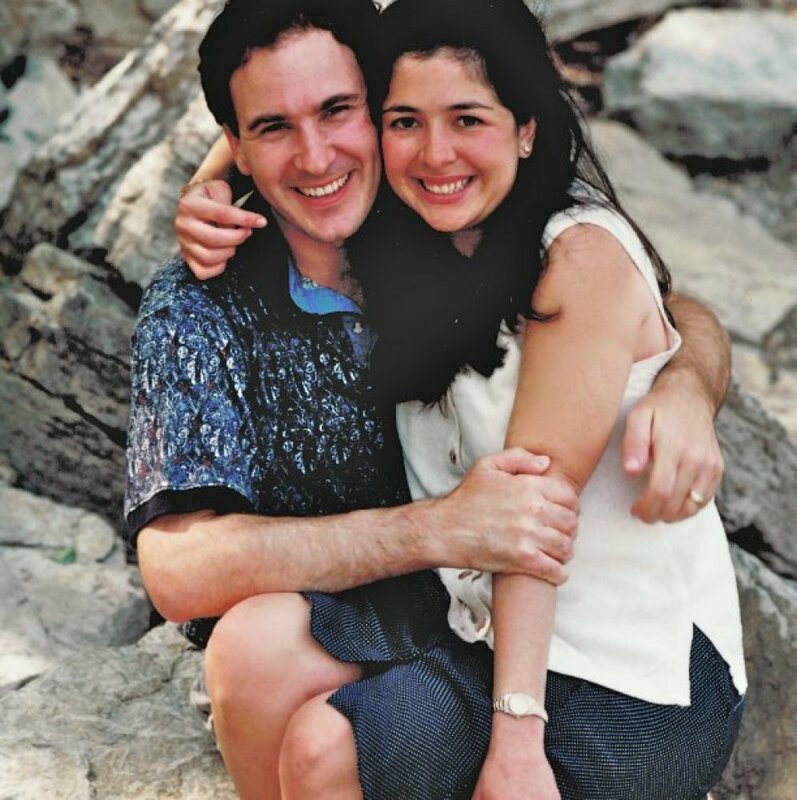 Marie Guion-Johnson lived an idyllic life -- she was working on her Ph.D. at the University of Minnesota, her 41-year-old husband, Robert Guion, was an engineer at Lockheed Martin and studying to be a minister, and together the two of them had a 4-year-old daughter and a 7-week-old son. But one day in October 2002, it all came to an abrupt halt. As she pulled into the parking lot of the local YMCA where she and Robert were going to work out, she saw his body on a stretcher, covered by a sheet. Robert had died of a sudden heart attack. Just nine months earlier, Guion-Johnson tested Robert's heart to gather data for her doctorate project. She found an odd intermittent sound, so Robert went to his general practitioner. The doctor didn't hear anything and Robert's treadmill stress test came back normal, so the couple went about their life as usual. But Robert's death changed everything. On one sleepless night, she started digging into the previous data she had taken on Robert's heart and realized that he suffered from an obscure condition known as Dock's Murmur. After completing her degree, she continued studying in Italy and at Stanford University and the University of Minnesota, but Guion-Johnson sought more than answers -- she wanted a solution. In 2009, she left the academic world to start AUM Cardiovascular, to create a handheld device that detects blockages in the blood vessels around the heart, which can determine whether someone is developing heart disease or may be at risk for a sudden heart attack. The test takes just two minutes and is more accurate than a traditional treadmill stress test. With the CADence device on the verge of FDA approval, Guion-Johnson hopes to turn the tragedy of her husband's death into an opportunity to save the lives of others. Can you describe the day your husband died? I pulled into the YMCA, and there was an ambulance and a body with a sheet over the top of it. And I turned to my daughter and said, "We need to pray because someone died here today." We said a little prayer and went inside. I had the baby in the bucket car seat and was holding my daughter's hand on the other side. They swiped my card to let me in and said, "Oh, this is his wife." I didn't put it together at all. It was the last thing -- I mean, who would think? Then the police surrounded me and took me back to this hall and told me they did everything they could, but he died. They wouldn't let me see him in the parking lot. I had to go to the morgue and ID him with my father-in-law. I nursed the baby before I went to do it, and everything was surreal. Even when I think about it now, I can't believe I got through it. Over the course of the next couple of weeks, everything was basically a blur. Did you know right away that his death was connected to what you had heard earlier in your research, even though his doctor had ruled it out? I just knew. I started looking at the data right away. In the book of Isaiah, the Bible says, "Your ears shall hear a word behind you, saying, 'This is the way, walk in it,' whenever you turn to the right hand or whenever you turn to the left." I knew I heard God's voice, and I was supposed to look on the left. Rob died from a sudden cardiac event -- he had a plaque rupture that blocked his "widow maker," the left anterior descending coronary artery. I discovered that in 1967 this doctor named Dock had described a murmur associated with moderate to severe blockage in the left anterior descending coronary artery, where physicians hear it sometimes, but not all the time. Fast forward to 2002, and with advanced technology, I was able to take Rob's information I had recorded and extract Dock's Murmur, nestled underneath all the other cells in his chest. I asked 38 cardiologists and only two of them had ever heard of Dock's Murmur. It was after the fact, when I was digging in the literature, that I said there's something here. And everybody I ran into then and for the next year thought I was off my rocker. At first, they patted me on the head like, "You're doing this, OK, whatever," but when I announced to my friends and family after a couple of years that I was going to Italy to study, they were like, "Oh my God." I spent about half a year there, came back, took some classes at the University of Minnesota, disclosed my technology to them and they filed and paid for the patents. Did you think at that point about starting a business? I was an engineer for 12 years, spent a lot of years in the lab, did large scale projects and led teams, but I had no idea how to start a business. It was the last thing on my mind. I was working on my Ph.D. with the idea to jump into the academic life. But I was like, "Why is nobody doing this? This is crazy, this is a world-changing kind of technology." I finally said to myself if no one else is going to do it, I'm going to have to do it. So how did you start a business without any experience? There was an odd alignment, where things just started unfolding one step at the time. I got this fellowship at Stanford within a year of getting remarried, so I went to Palo Alto and was part of a think tank where we learned how to solve clinical problems and learned about insurance reimbursement, regulatory issues, developing business plans, measuring success -- just about everything you would need to start a business. So while I was still working on the science, I got this relevant knowledge to get started. They also teach you how to raise money and introduce you to VCs. The University of Minnesota recruited me to come back and run the same think tank as we had in Stanford. Then I randomly went to this birthday party, where I met someone who introduced me to the most successful people in medical devices in Minnesota. Over the course of two years, I met all the VCs, analysts, reimbursement insurance and regulatory specialists in town -- the best of the best. I raised $3.3 million from angel investors. I also got this government grant from a stimulus project, and all of a sudden I had $250,000 that I had to spend in a 3-month window. So it was like, do it. I left the university and started my company in 2009. And what's the status of the product now? We are getting near to the final development and starting our clinical trials in eight clinical centers across the country. We have people on our team who are very motivated and passionate. One of the guys on the team designed the Xbox Kinect. He lost his mother to sudden cardiac arrest, so he's super passionate about it. And what has the reaction to the product been so far? When I was out pitching, I was talking about all this science-y stuff with these three guys from the North Dakota area, and they were falling asleep. Then I scanned all three of them, just to show them how fast it was -- you put the device right on your thorax and it only takes about two minutes to do the test. The first guy was normal, the second guy was normal, the third guy tested positive. So he went back to see his general practitioner back in North Dakota, who did a stress test on him, which came back normal. Then he went to see a cardiologist, who did a stress echo, which came back normal. He goes on to get a CT scan, and it was positive for 60 percent lesion in his widow maker. Does that kind of experience motivate you even more, to possibly save someone else's husband or father? Absolutely. Every time I hear of someone who died, I think, "Why aren't we done? Why is it taking so long to get this on the market?" So, in a way, do you think Robert's death happened for a reason? Robert was the kind of guy who everyone considered their best friend. If someone needed a ride to the airport, he'd drive them. If you needed $5 for lunch, he'd be the guy you'd ask just because he was so happy to help. Everything he did, he did for other people. It was in his makeup, who he was as a person. Even this is consistent with who he was. He'd give up his life for everyone else. He'd want to help others, even in his death. And how are you doing 10 years later? Have you healed? As I look back on all the stuff that happened, I can't imagine having a more worthwhile, purposeful life. I know what I'm supposed to do. I talk to a lot of people who say they wish they could find that. We all have that kind of purpose. I feel fortunate. I know that sounds odd. But I feel hopeful that this will make a difference for other people. Marie Guion-Johnson and Robert Guion, pictured right after their wedding, never expected that a sudden tragedy would cut their marriage short.